How does NASA’s new EM drive work? Maybe the answer lies in Pomroy’s World? In the following article sources claim that a new EM engine works in a vacuum even though it “violates the Law of Conservation of Momentum”. In my novels, Pomroy’s World: Arrival and Pomroy’s World: Alone, one of the main characters, Juan Garcia, develops a device to directly detect dark matter. Perhaps the vacuum is not empty. Perhaps the thrust NASA’s EM drive develops is a result of forces from the virtual particles of the Quantum vacuum interacting with dark matter and dark energy. Perhaps Juan Garcia found something important. 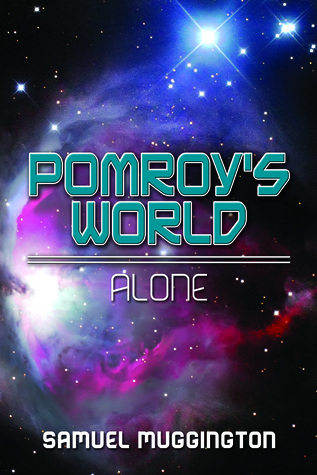 Perhaps the secret of dark matter and energy lies in Pomroy’s World. Giveaway ends May 20, 2015. Does the Higgs bosun decay into dark matter? We may find out soon. A team led by a theoretical particle physicist Christoffer Petersson, of Chalmers University of Technology in Sweden has proposed an interesting experiment to try to discover the nature of dark matter. His idea will be tested at CERN’s Large Hadron Collider this spring. Finally, the Kindle version of Pomroy’s World is available. Click here to buy the Kindle version of Pomroy’s World. Pomroy’s World: Arrival is the first in a series. It is a fantasy/science fiction novel set in both the real world and the world of dark matter and energy. The hero is Pomroy, a teen from Long Island. Pomroy’s World: Arrival is available now online. You will also be able to obtain it online from other sources in a few days and the Kindle version should be in stores soon.